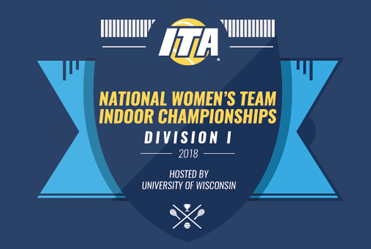 Last weekend, the 2018 ITA Division I National Women’s Team Indoor Championship were hosted in Madison, Wisconsin by the University of Wisconsin. As one of the biggest ITA collegiate tennis tournaments of the year, the top 16 women’s teams of the Division I fought for the national indoor championship. While Wisconsin was automatically qualified as host of the championship, the other 15 teams had to earn their tickets for this tournament in their respective regional qualifying tournaments. Over the past week-end, all teams had to compete in a single-elimination tournament to find a new national indoor champion. With the North Carolina Tar Heels, last year’s finalist, as well as last year’s champion the Florida Gators some of the strongest teams in Division I were aiming again for the trophy. However, it did not come to a remake of last year’s final. With wins over University of Mississippi, Texas Tech and Duke University, North Carolina did get the opportunity to make up for their last year’s loss in the final. However, instead of last year’s champion Florida, they had to face Pepperdine University, who beat Auburn University, Georgia Tech and Vanderbilt University to reach the finals. In a tightly fought match, the Tar Heels found compensation for last year’s loss and won the their first championship since 2015. Moreover, through their fourth finals appearance in a row, they also fortified their position as one of Division I’s top teams. As part of Tennis-Ticker’s new collaboration with the ITA, all tournament matches were provided with live scores and live match statistics through the Tennis-Ticker live scores technology. 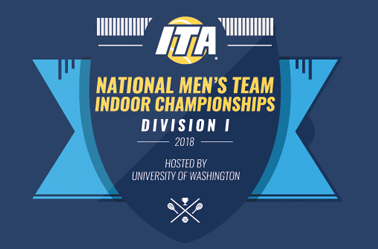 This weekend, it is time for the 2018 ITA Division I National Men’s Team Indoor Championship, which will take place in Seattle, Washington. The University of Washington will host the four-day event at two venues, the Nordstrom Tennis Center and Seattle Tennis Club. Tennis-Ticker proudly supports this tournament with our point-by-point live scoring system and live match statistics! Follow the action as the top 16 men’s Division I teams compete for the national indoor team championship. All results and live match-statistics can be found via the button below.